Vital Whey® Natural is made with Proserum® The Finest Whey Protein® available. It is a proprietary, undenatured, natural whey protein® that is produced to maintain the full range of all the fragile immune-modulating and regenerative components naturally present in fresh raw milk. The milk for Proserum is derived from cows that are grass fed and graze year-round on natural pastures. It is GMO-free, hormone-treatment-free, pesticide and chemical-free and undergoes minimal processing. 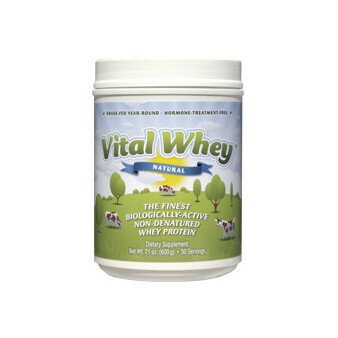 Vital Whey® Natural is a delicious, 100% natural nutritional protein perfect for adults and children. This is the finest minimally processed, biologically-active, undenatured natural whey protein. In addition to its many health-promoting properties it is a great way to manage hunger and sustain good energy levels. Vital Whey® Natural is the best choice for the parent in search of the healthiest snack for themselves and their children, as well as the athlete looking for the perfect pre and post-workout supplement, or anyone interested in optimal health. When you try it, you will agree it is the Vital Whey to health. 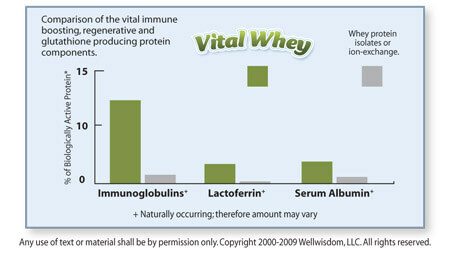 There is no difference in the ingredients in ImmunoPro and Vital Whey Natural. Both are 100% Proserum® native whey protein® concentrate. ImmunoPro is packed in a 300g jar with a 5g scoop for individuals who prefer tighter control on their protein intake throughout the day. 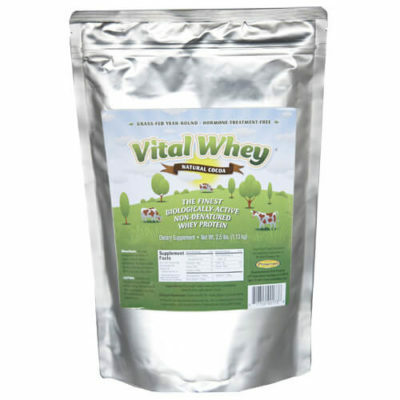 Vital Whey Natural comes as a 600g jar or 2.5 lb. bag, both with a 20g scoop, and was designed for everyday and fitness users looking for larger volumes of protein. This whey seems great, although very pricey! I don’t think any other Whey product in the market can come close to this.The purity and the energy that it gives is unbelievable. It helps me thru’ the day. Thanks for making such a great product. This whey feels great and easily digested. Thank you! Great product. I use it to compliment my diet and really helps with my exercise.